Information and Communication Technology (ICT) has become distinguished from Information Technology in that ICT extends specifically beyond technology to its use with critical organizational skills, the skills across a market segment, or across a system of organizations. In this chapter, the authors begin to apply social interdependence theory to their interest in the technologies and techniques that increase both knowledge and social welfare (e.g., ICT), in particular the application of metrics to organizational performance. 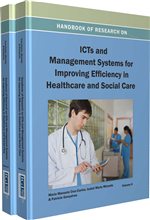 In this chapter, they address ICT in our research as it is applied to Telemedicine, eHealth, and e-Institutional Review Boards (eIRBs) for healthcare in Georgia. ICT must be complemented with new technology-based solutions for providing health and social services but also with more cost-efficient approaches. Technology in isolation is not the solution to improved health care, especially when addressing an organizational or system approach. However, only recently have we come to accept that our knowledge of organizations and systems is unsatisfactory (e.g., Pfeffer & Fong, 2005). As a result, a new approach is being sought with social interdependence, one of the key characteristic of organizations (Jasny et al., 2009). In this paper, we review why a new approach to organizations is needed. Our ultimate goal is to develop a full mathematical theory of interdependence. With this theory, we will not only be able to apply interdependence theory to ICT, but to any organization. What is original in our approach is the guidance it provides to practitioners for the development of metrics of organizational performance. In this paper, we put aside the mathematics for now, sketch the important elements of our new approach, and we begin to apply it to ICT. Pfeffer and Fong (2005) argue that traditional organizational science has failed. It is established that individuals do not multitask well (Wickens, 1992). But multi-tasking is the function of organizations (Ambrose, 2001). It has been argued that the future of innovation within organizations lies in hybrid organizations comprised of arbitrary mixes of humans, machines and robots (Lawless et al., 2010). Research is already directed at preparing for its arrival. “… autonomy is required because one [person] cannot control several robots … [and] because no computational system can discriminate …” between life and death situations (Sharkey, 2008). It will not be possible to engineer hybrid organizations for many years, including the life and death decisions made during health care, without modeling the interdependence common to organizations (Smith & Tushman, 2005). But while we know more about individuals, we have not yet learned how to aggregate data about individuals to form satisfactory models of groups (Bonito et al., 2010). This deficiency is one of the great challenges in social sciences (Giles, 2011). Static interdependence was first studied in game theory (Von Neumann et Morgenstern, 1953), but today, game results are unsatisfactory because of the normative nature of game theory research (Schweitzer et al., 2009). As an example of the use of norms in science, Acemoglu and Jackson (2011) speculated that social welfare was proportional to the collective actions of a society, leading them to assume for toy game models that “High” actions can be thought of as more “cooperative” (p. 2), and therefore collective and superior. In contrast, we have found empirically that the more competitive is a nation (Lawless et al., 2010), the better its social welfare. Instead of using normative beliefs, we pursue a theory of interdependence based on a model of social bistability. When attempting to get at the heart of the cultural keys to organizational success, such as that defined by very fast revenue growth, or long term stability, we find that classical models based on independent data (e.g., Kenny et al., 1998) used to extract data about the humans within the organization are satisfactory for replications but unsatisfactory for determining the dynamics of organizations. Humans are interdependent (social) organisms. E-Health: E-Health is at the intersection of medical informatics, public health and business, health services and information delivered over the Web. It characterizes technology, a way of thinking, and a commitment for global healthcare action. eHealth conveys the promises and excitement of bringing e-commerce to health care. Interdependence in Organizations: A worldview reduces multiple interpretations into a single, stable perspective of reality. However, COI acts as a tradeoff in attention directed at reducing uncertainty in one of two interdependent factors, such as a worldview or business model or military plan of action, increasing uncertainty in its interdependent factor, such as opposing worldviews or an action taken in agreement with a worldview or the execution of a business model or the locations of a military plan’s chain of sequential or interdependent events. COI indicates that the more focused is a collective on acting out a series of steps, the less attention it has available to be observant of all of its actions. Applied to organizations, COI forms a causal path for different cultures based on multiple interpretations of the same worldview or business model or military plan of action. Four interdependent factors exist. COI links organizational uncertainty between planning and execution as well as between resource availability and the duration of a plan’s execution. Virtual Healthcare Teams: Virtual healthcare teams are professionals who collaborate and share information on patients with digital equipment. Tradeoffs: The Conservation of Information (COI) concept is derived from Signal Detection Theory (SDT) based on duration-bandwidth tradeoffs: The shorter the duration of a signal, the wider becomes its bandwidth and vice versa. To extend COI to organizational performance and to Mergers and Acquisitions (M&A), an organization can focus its attention (e.g., situational awareness) on a narrow business model to increase its rate of plan execution or the inverse. Web Medicine: The future Semantic Web includes a Health Care and Life Sciences Interest Group to establish interoperable data standards for “connected knowledge” to collaborate across health care and life sciences. The goal for HCLSIG is to reduce medical errors, increase physician efficiency and advance patient care and satisfaction. It includes document annotation and rule processing. Telemedicine: Telemedicine is the use of telecommunication channels to provide medical information and services. The simplest form of Telemedicine is used daily by most health professionals as they discuss a case over the telephone. More sophisticated Telemedicine applications used by the military and some large medical centers include: using satellite technology to broadcast a consultation between providers at facilities in two countries; videoconferencing equipment; and distance-robotic technology. Bandwidth in the telemedicine system determines its constraints. More bandwidth generates higher costs but more capacity for real-time images, video, and higher quality resolution. The qualities of transmission issues of importance to medicine are sound fidelity, image resolution (spatial or contract), range of motion displayed, and transmission speed. The future semantic Web could be telemedicine's answer to the need for high-speed transmission of high quality video. Organizations: Multi-tasking for individuals produces poor results. However, organizations are designed to multi-task. Organizations perform a function, which cannot be done by an individual alone by assigning interdependent roles to a set of independent individuals, but making them interdependent requires information coordination, channeling, and blocking to form its members into a multi-tasking collective that amplifies the capabilities of a single individual. An organization is functional when its operational costs are less than the benefits it accrues and provides to its members. It is likely constructed around a geospatial centroid about which its business attributes are centered, planned, modeled, and executed. Interdependence in Organizations: A worldview reduces multiple interpretations into a single, stable perspective of reality. However, COI acts as a tradeoff in attention directed at reducing uncertainty in one of two interdependent factors, such as a worldview or business model or military plan of action, increasing uncertainty in its interdependent factor, such as opposing worldviews or an action taken in agreement with a worldview or the execution of a business model or the locations of a military plan's chain of sequential or interdependent events. COI indicates that the more focused is a collective on acting out a series of steps, the less attention it has available to be observant of all of its actions. Applied to organizations, COI forms a causal path for different cultures based on multiple interpretations of the same worldview or business model or military plan of action. Four interdependent factors exist. COI links organizational uncertainty between planning and execution as well as between resource availability and the duration of a plan's execution. Telemedicine: Telemedicine is the use of telecommunication channels to provide medical information and services. The simplest form of Telemedicine is used daily by most health professionals as they discuss a case over the telephone. More sophisticated Telemedicine applications used by the military and some large medical centers include: using satellite technology to broadcast a consultation between providers at facilities in two countries; videoconferencing equipment; and distance-robotic technology. Bandwidth in the telemedicine system determines its constraints. More bandwidth generates higher costs but more capacity for real-time images, video, and higher quality resolution. The qualities of transmission issues of importance to medicine are sound fidelity, image resolution (spatial or contract), range of motion displayed, and transmission speed. The future semantic Web could be telemedicine’s answer to the need for high-speed transmission of high quality video.